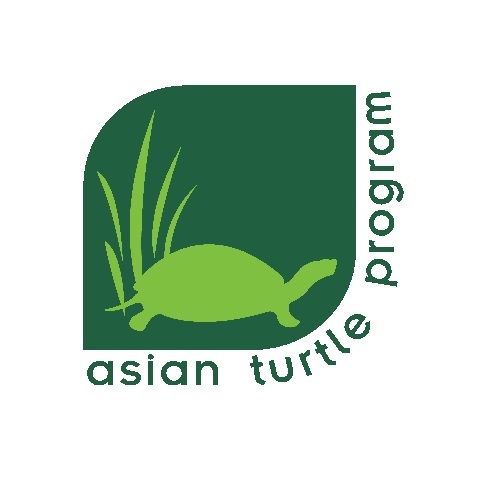 The aim of The Asian Turtle Program (ATP) is to establish a safe and sustainable future for Asian turtles, and to ensure that no further turtle species become extinct in the region. The aim of The Asian Turtle Program (ATP) is to establish a safe and sustainable future for Asian turtles, and to ensure that no further turtle species become extinct in the region. We implement strategic interventions that directly contribute to the conservation of Asian turtles, helping to ensure efficient use of limited resources, as well as developing capacity, strengthening leadership, and ultimately effecting positive attitudinal and behavioral change within society. ATP was established in 1998 as the NGO conservation organisation supporting the development of the Turtle Conservation Centre (TCC) in Cuc Phuong National Park, Vietnam. As the ATP grew with a focus on Tortoise and Freshwater Turtle (TFT) conservation and research we started to undertake more activities include surveys, enforcement training, student training, community awareness and site based conservation it was incorporated into the Cleveland Metroparks Zoo/Cleveland Zoological Society’s Asia regional program in 2003. In 2015 the ATP was registered as part of Indo-Myanmar Conservation (IMC), a UK charity that is also registered in Vietnam and Myanmar. Activities have focused on priority species including Critically Endangered and endemic species of greatest conservation concern. Project focus on the endemic Vietnamese Pond Turtle (Mauremys annamensis) and Indochinese Box Turtles (Cuora bourreti) and (Cuora picturata) in central Vietnam and the legendary Hoan Kiem Turtle (Rafetus swinhoei) also known as Swinhoe’s Softshell Turtle in northern Vietnam, largely recognised as the most endangered turtle species in the world. Our broader activities on enforcement training, legislation and national awareness have also covered and benefited Vietnam's 25 species of native tortoises and freshwater turtles. In Myanmar we have been involved with projects on awareness for the Burmese Star Tortoise (Geochelone platynota). Our activities are diverse and have benefited TFT conservation greatly, often priority sites and species are identified to be focal sites for our activities, these include: enforcement training for wildlife protection authorities, including Forest Protection Department, Environmental Police and Fisheries Department, amongst others. Community engagement that includes traditional community meetings and school programs and signboards but also special events such as boat races, community football matches. We work with national authorities to improve legislation related to TFT's and have developed national TFT conservation plans in partnership with government agencies. We regularly conduct interview and field surveys which have led to the discovery of the only known wild populations of the Vietnamese Pond Turtle and Yangtze Giant Softshell Turtle. Our field surveys cover additional taxa and have resulted in the discovery of new species of reptiles and amphibians. We also frequently release information through the national media to promote conservation of TFT's.